Does some Christian theology invoke a curse? 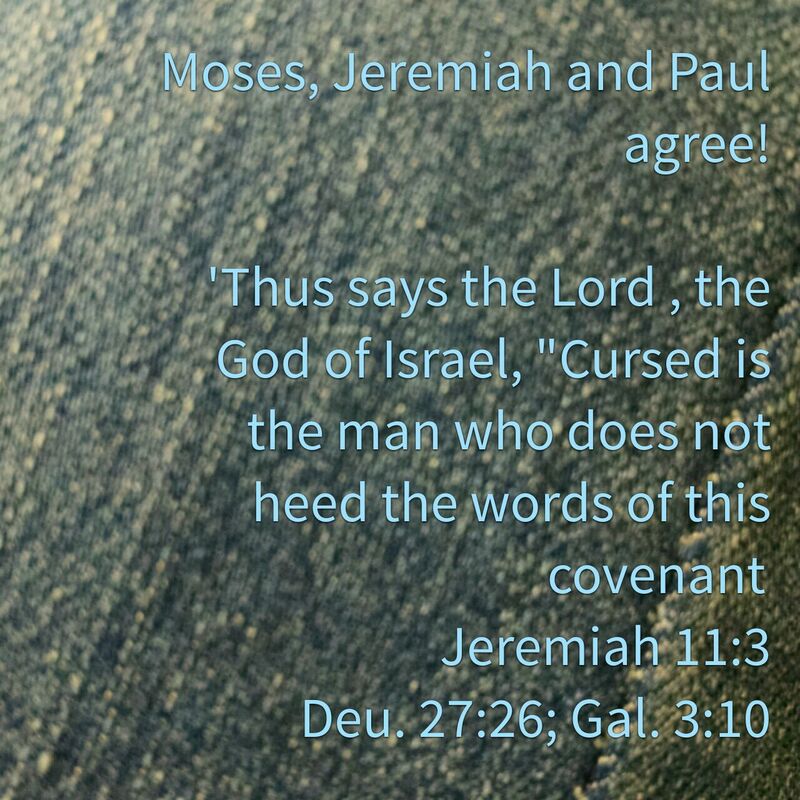 Moses, Jeremiah and Paul all agree, those who do not obey the Torah are cursed. Does your pastor teach you to obey the Torah? Or, does he teach you to ignore the Law and walk as you want to, thus invoking a curse? Conversely, from the quoted verses, Psalm 1 (among dozens of references) clearly says, ‘Blessed is the man who DELIGHTS in the Law.’ Heard that from the pulpit lately?? This entry was posted in Visual Scripture and tagged false teachers, obey, pastor, sheep, Shepherd, Torah. Bookmark the permalink.